Time to make a change and get healthy? These five action steps from The 30-Day Sobriety Solution will help you conquer your problem drinking once and for all. At the end of every day’s solution, we will summarize the action steps that we covered. You can choose to do them as you go or wait until the end of the chapter. We recommend that you do them at a time when you will most likely follow through. For example, you may feel that stopping and doing the first action step when it is first presented for the day propels you forward to complete the other ones, or you might feel that you need to read the entire chapter before doing any of the action steps. Unless we mention that an action step is optional, it is required because it is essential for your success in this program. You may need to access the free companion website for some of these action steps; however, reading the additional content and resources on the site is optional. They are just there for additional support if you want to go deeper. One of the benefits of the companion website is that it allows us to give you a wide range of content, such as new breakthrough research, additional success stories, specially recorded videos from experts, online tools and resources, and multimedia content that we otherwise could not deliver. If you prefer listening over reading, we highly recommend purchasing the audio version of the book, which is integrated seamlessly with the companion website for ease of use. Many of our graduates have told us that listening to the material was effective and enjoyable for them because they could take notes easily and be more engaged in the content. If you are interested in finding out more about this, simply visit the companion website for today’s solution at http://Day1.Solutions. • Start a journal. Whether you keep an online journal using Google Docs or Hotmail SkyDrive or a physical journal, start one right now. In your journal, write down your answers to the exercises, your thoughts on the content for the day, and your progress and setbacks along your path to thriving in sobriety. Remember, you don’t need to worry about grammar or spelling in your journal, but you do want to write in it every day, even when there isn’t an action step that tells you specifically to do so. If you have chosen to do this in 60 or 90 days, you still need to write in your journal daily. The same is true for all “daily” action steps in future solutions. • Decide your time frame. Choose whether you will finish this program in 30, 60, or 90 days and then sign up for a free email reminder on the companion website to help keep you accountable. Then decide the day during the first week of this program on which you will quit drinking for at least 30 days. Write this date in your new journal. And decide right now that you are 100% committed to this plan and write it down in your journal. • Begin to use the equation E + R = O in your life. Simply begin to pay attention to moments when you are complaining about or blaming an event rather than focusing on creating a new response that can change the outcome. • Capture the “before you.” Take a photo of yourself, or find a good recent “before” photo of yourself, and then schedule a visit to the doctor or health professional’s office to get your blood work done (this last part is optional). You will be amazed at the end of 30 days how much sobriety can make your face look years younger and bring back the sparkle in your eyes. • Listen to the Time Travel Technique. Through all of the coaching we have done and the feedback we have received, this guided exercise, which can be found on the companion website, has proven to create incredible leverage, clarity, and purpose. It is critical you do this exercise. One 30-Day Graduate shared with us, “In Day 1 of The 30-Day Sobriety Solution, I did the Time Travel Technique, which was life changing. This process gave me a level of clarity around my drinking that I had never experienced before. I finally knew, and accepted, that continuing to drink was going to keep me from everything I wanted in life, and sobriety was going to lead to true happiness and fulfillment.” Immediately after you finish listening to the Time Travel Technique, write about your experience in your new journal. Congratulations! You have just finished the longest chapter in our book. We promise the remaining solutions are much shorter. Be sure to access the companion website for the Time Travel Technique, to sign up for your free email reminders, and to find out more about this program, at http://Day1.Solutions. Jack Canfield, the #1 New York Times bestselling author of the Chicken Soup for the Soul® franchise and coauthor of The Success Principles, and Dave Andrews, a recovery expert, join forces to present a “sensitively written yet no-nonsense guide” (Publishers Weekly, starred review) to help you cut back or quit drinking entirely—in the privacy of your own home. The 30-Day Sobriety Solution grew out of Jack Canfield’s decades-long work in self-esteem and success training. Its principles were carefully developed into a program by Dave Andrews and tested by thousands whose inspiring stories of recovery are shared throughout the book. Organized into five phases that span 30-day periods, this book and its free companion website, The30DaySolution.com, guide you through each day with practical exercises that, over time, allow you to more easily make positive choices again and again. 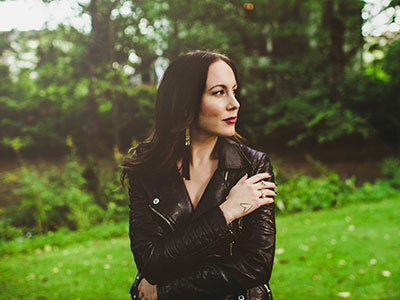 Integrating neuroscience, cognitive therapy, proven tools, and teachings, The 30-Day Sobriety Solution’s daily program will help you achieve your goals—whether that’s getting sober or just cutting back—and create positive, permanent change in your life. Jack Canfield is co-creator of the Chicken Soup for the Soul® series, which includes forty New York Times bestsellers, and coauthor of The Success Principles: How to Get from Where You Are to Where You Want to Be. 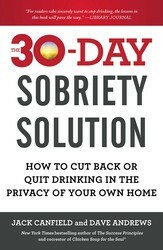 Dave Andrews has been a featured “sobriety expert” on more than fifty national and international talk shows. As “America’s #1 Sobriety Coach,” he is the leading expert in helping others recover, reclaim, and reinvent their lives without alcohol, and serves on the Board of Directors of the nonprofit organizations Young People in Recovery and Advocates for Recovery.